In this tutorial, we are going to create Spring restful web services step by step. We will create a simple Spring restful web services which will return JSON as a response. Here is project structure for the application. 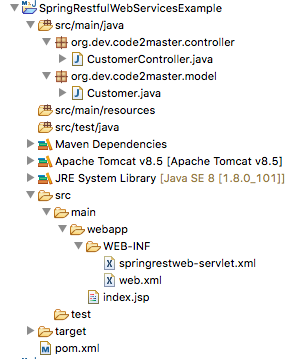 Step 1: Create a dynamic web project using maven in eclipse. Step 2: Add require dependencies to pom.xml. Please note that we have put “jackson-databind” as dependency here, so spring will load Jackson2JsonMessageConverter into the classpath,so whenever we have any requst with “application/json”,Jackson2JsonMessageConverter will take care of required conversions. Step 4: create a xml file called springrestweb-servlet.xml in /WEB-INF/ folder.Please note that file name should be “$servlent-name” with “-servlet” as prefix. Please change context:component-scan if you want to use different package for spring to search for controller. 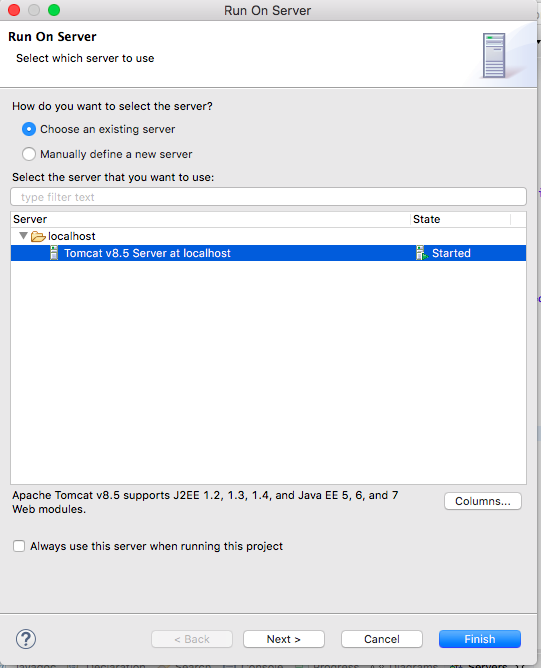 Step 5: Create model class Customer.java as below. 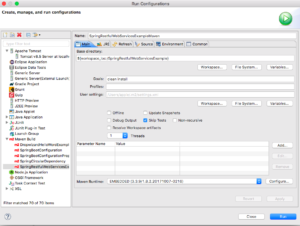 Step 6: Create controller class named CustomerController.java as below. /// Utiliy method to create customer list. @RequestMapping annotation is used to map web requests to controller method. If we have request as “http://localhost:8080/SpringRestfulWebServicesExample/customers” then getCustomers will be called from above controller. Please note that we have used @RestConstroller to get resource as response.We don’t need to specify @ResponseBody any more. 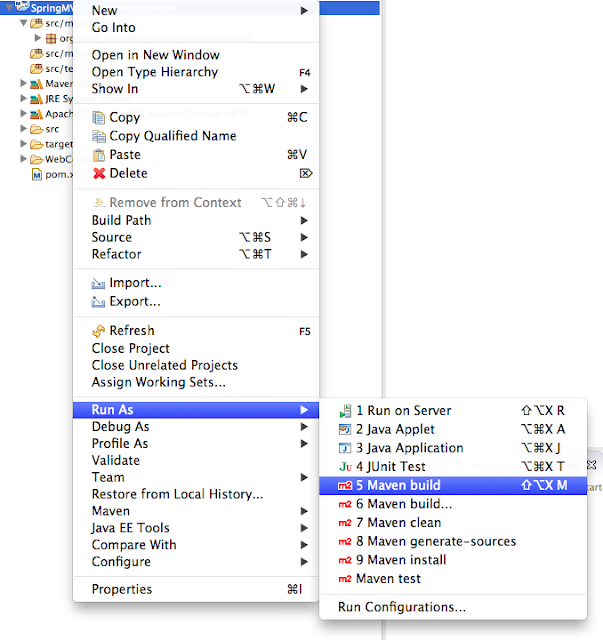 Step 7: Build your maven project. Step 8: Put “clean install” as maven goals. Now let’s get customer by id. That’s all about spring restful web services example step by step.